The insulation in your home can go a long way in regulating temperature, controlling sound, and lowering energy costs. 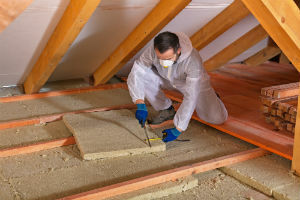 The trouble with conventional insulation is that it can contain chemicals and other unnatural compounds that've been linked to negative health concerns. 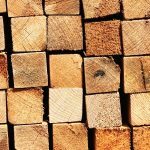 Fortunately, natural insulation options are becoming increasingly available, and include products made from cotton, hemp, and natural elements. Fiberglass is a common ingredient in home insulation, and it’s actually very effective for regulating temperature and noise, and can be used in walls, pipes, and even airplanes. Fiberglass is spun into a wool-like material, yet the tiny glass particles can be inhaled and trapped in the lungs. 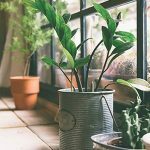 Since fiberglass is considered a possible carcinogen, there is concern that the accumulation within the body over time could be damaging. Polybrominated diphenyl ether, or PBDE, is another ingredient found in foam insulation and is used as a fire retardant. The breathing in of PBDEs could interfere with endocrine function, thus increasing the risk for cancer and other health issues. If you thought denim only had a useful purpose in clothing, think again! Recycled denim material – commonly used to make jeans – can be put to good use by providing a natural insulation to buildings. Bonded Logic’s UltraTouch Recycled Denim Insulation uses scraps of material directly from denim manufacturers rather than sourcing 100% of its materials from used jeans. The product is treated with a natural fire retardant and is VOC-free, formaldehyde-free, and 100% recyclable. You’re probably already familiar with the nutritional power of hemp, but did you know this natural plant has many other uses? Not only can hemp be used to make clothing and paper, it’s also used as a natural alternative to conventional insulation. Thermo-Hemp is a brand that uses 100% pesticide-free hemp in the production of its insulation. Hemp contains natural hygroscopic properties which regulate humidity. Not only that, it’s healthier for the environment, both in its production and installation. AirCrete is another popular natural solution to insulation. It is composed of air, water, and MGO cement (magnesium based). These natural ingredients, when combined together, create a shaving cream-like consistency. After a short period, it forms a lightweight cement that acts as an environmentally-friendly, non-toxic insulator for homes and buildings. It’s also extremely cost effective and easy to install. What insulation methods do you employ for your home? Please let us know your thoughts and opinions in the comments! University of Kentucky. Insulation and the Environment. Biosystems & Agricultural Engineering. Illinois Department of Public Health. Fiberglass. Illinois Department of Public Health. 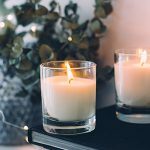 Are Your Candles Emitting Toxins?